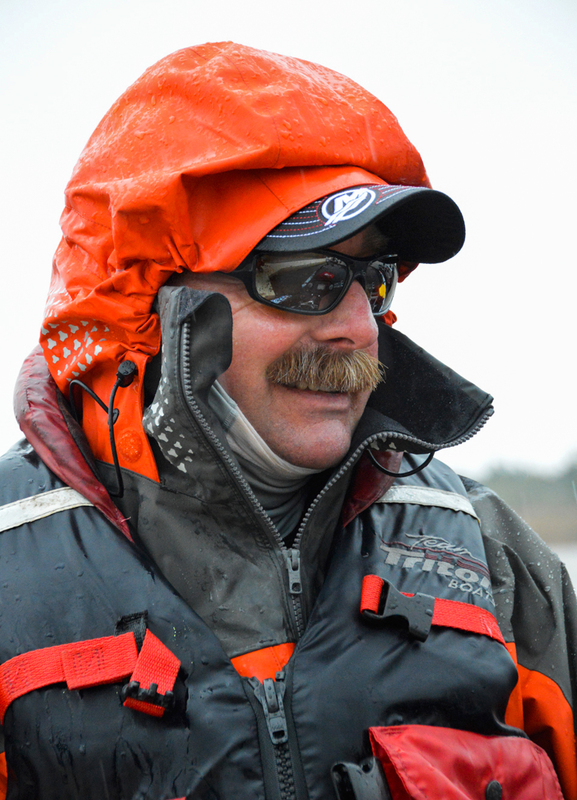 Simms pro Shaw Grigsby chats about the Bassmaster Classic experience prepares to compete in his 16th Classic. Photo by Joel Shangle. Livingston pro Jacob Powroznik’s breath says it on on a frigid Lake Cherokee morning. Photo by Joel Shangle. Family pride: Alton Jones and Alton Jr. made their first Top 50 together at Cherokee. Photo by Joel Shangle. Gene Larew pro Jacob Wheeler found the right size smallies on Cherokee. Photo by Joel Shangle. Looks like we’re back in Florida: Costa pro Casey Ashley heads out onto Okeechobee. Photo by Joel Shangle. The bag that won it for Timmy Horton: Day 2, Horton brought some monsters to the party. Photo by Joel Shangle. Livingston pro Randy Howell showed off a pair of Lake O. beauties. Photo by Joel Shangle. Daiwa pro Andy Montgomery in the thick of it with some big fish. Photo by Joel Shangle. Spiderwire pro Bobby Lane’s big Day 1 fish had his marshall’s attention. Photo by Joel Shangle. Simms pro Brett Hite with an in-your-face giant from Day 1. Photo by Joel Shangle. Bass Pro Shops pro Timmy Horton tried to absorb the fact that he had won. Photo by Joel Shangle. Timmy Horton is thumbs up with his fifth Elite Serie strophy. Photo by Joel Shangle.